You know how there are those bikes that you get only a fleeting glance of as they blast down the road, and by the time you haul around the steering wheel or handlebars to chase them down for a better look, they’re gone, quick as a ghost? That happened to me with a custom Goldwing a few years ago. I saw that boxer engine flash past, built like a train, and it was too late by the time I got turned around. Two-up riding? No problemo on a ‘Wing! 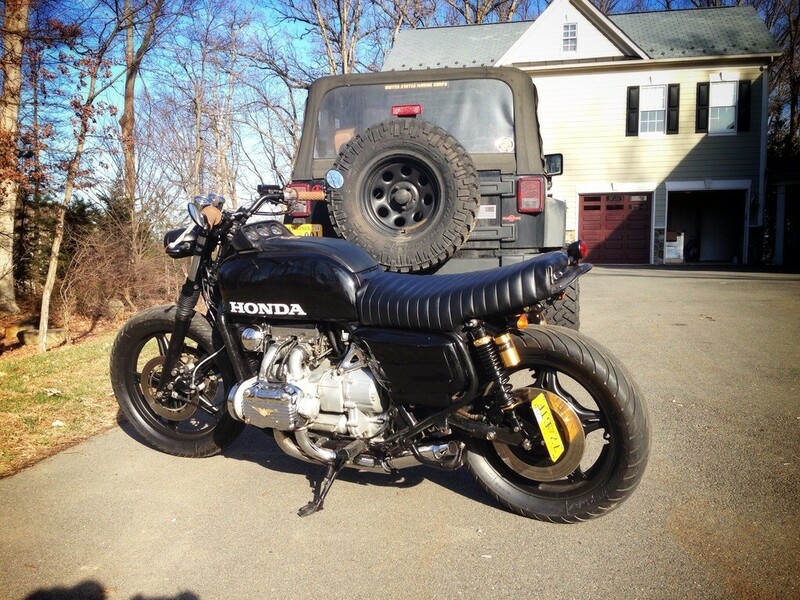 Well, when I came across Mike Audette’s ’78 GL1000 last week, I knew I’d found a kindred machine. 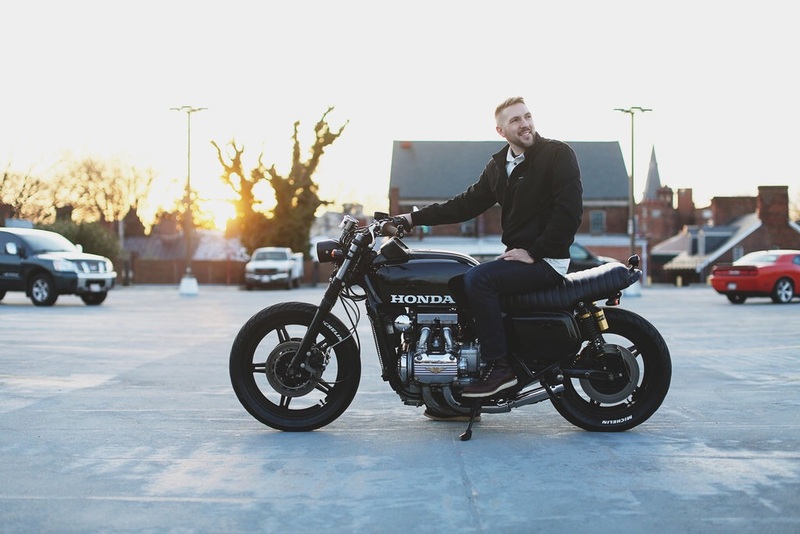 ‘Wings may seem a strange platform for a cafe or tracker build, but they are powerful, cheap, and you can actually ride them clear across the county–hell, the country–without your hands and feet going numb from vibration. Plus, that flat-four is one mean hunk of power. 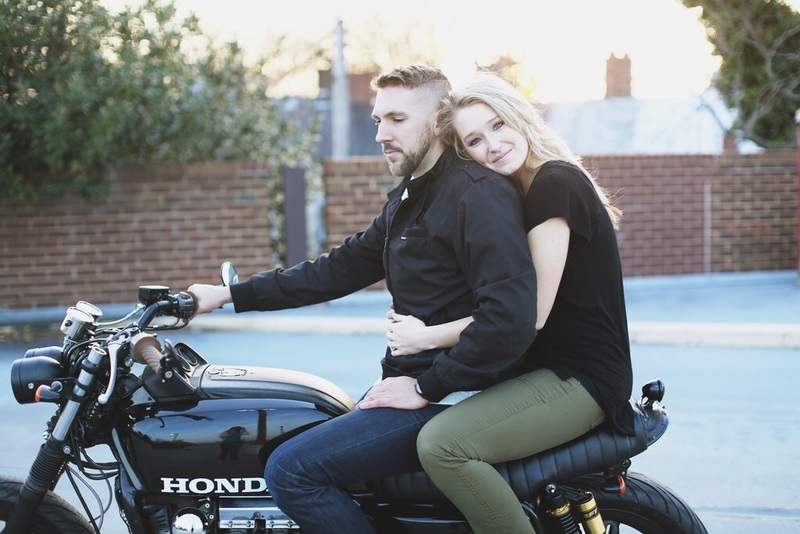 Mike makes another fine point: you can easily ride two-up on a Goldwing–scoring you big points with your boy or girlfriend. I had been searching for a bike for several months, not having anything specific in mind. I just wanted something older that would need some work but still had enough power to ride 2 up easily. I came across this GL1000 on eBay and knew I needed it. New Renthal handlebars, Biltwell grips, bar end mirrors, a new master cylinder, stainless steel brake lines, rebuilt calipers, new mini speedometer and tachometer from Dime City Cycles, new speedo and tach cables, new exhaust mini mufflers, dual headlights, fork gaiters, new turn signals, LED rear tail light, shaved and reupholstered seat, custom license plate mount, new Honda tank decals and whitewall tire paint applied to the letters on the tires, new rear shocks, painted wheels, repainted various parts, rewired everything, lowered forks, lots of cleaning and polishing. 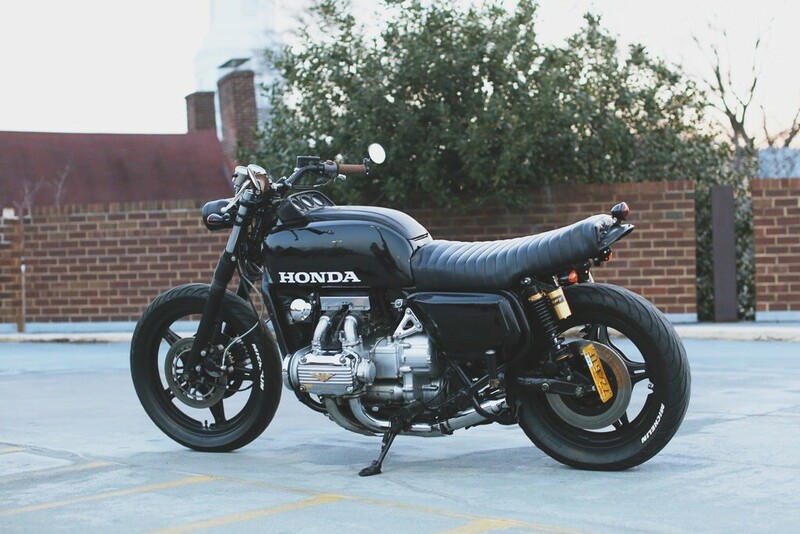 This bike was my winter project and I’m hoping to get another bike project going soon! The GL1000 was produced from 1974-1979, followed by the GL1100 and GL1200. 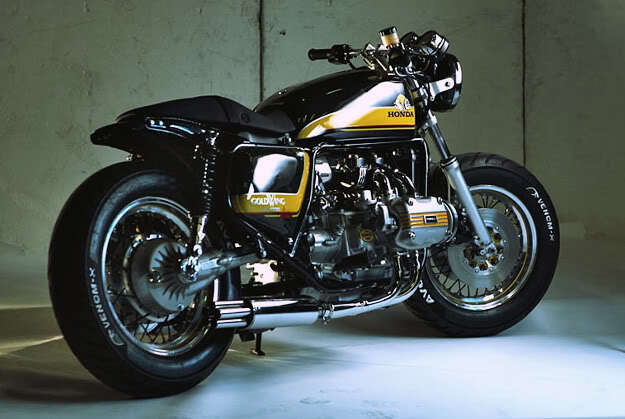 Although we now think of Goldwings as full fairing, six-cylinder bikes, they were flat-fours up until the introduction of the GL1500 in 1987, and the early models were available in largely naked trim. 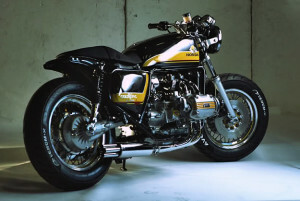 If you’re thinking of building one of these, Naked Goldwings (http://ngwclub.com/) is the place to look for inspiration. There are some great bikes on there. 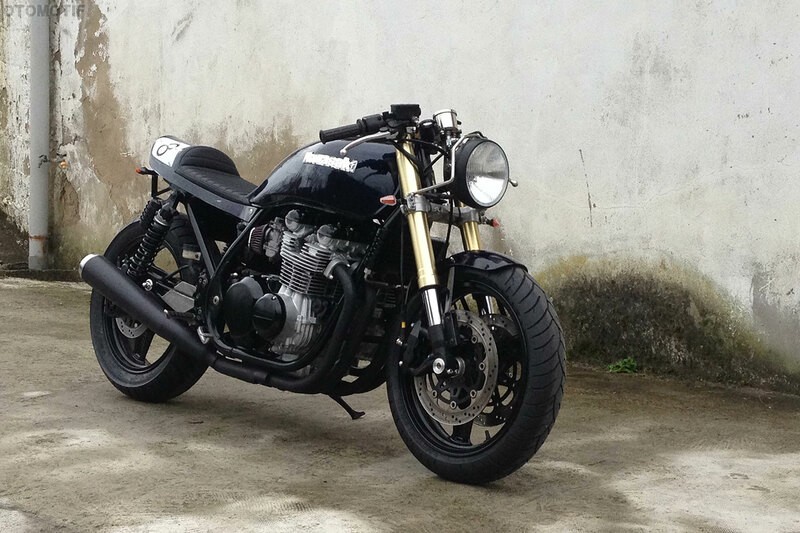 My favorite, by far, is the NGW project bike. 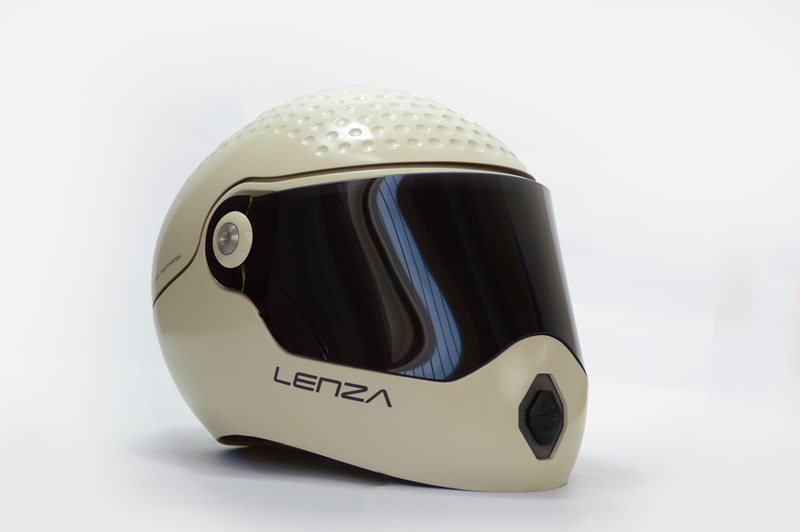 Is this the Future of Helmet Technology?